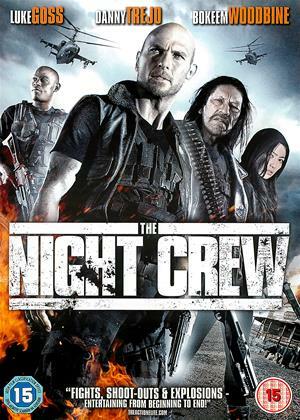 Danny Trejo, Luke Goss, Jason Mewes et al. A mysterious woman Mae, is on the run in Mexico from cartel boss Eduardo Aguilar, who wants her dead. Just as his men track her down, four hard-up bounty hunters swoop in with guns blazing, steal her away and hole up at a remote hotel south of the border. The entire place comes under siege by Aguilar's men and he orders them to turn the motel into a slaughterhouse until they bring him Mae's head on a plate. It's a fight to the death.